The elbow is formed by the connection of the humerus to the ulna and the radius, and its particular design allows it to perform flexion-extension and rotation movements simultaneously. 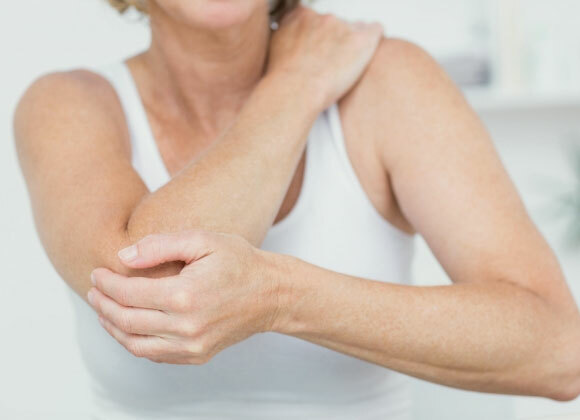 The elbow can suffer many lesions caused by trauma or repetitive movements. The menu above will allow you to explore the treatments offered at the Clinique Chirurgicale de Laval for various elbow aches. The elbow is included in all the movements of the upper limb. Manual tasks stimulate the origin of the tendons of the forearm and of the hand. Strain can cause a painful degenerative condition that can go as far as rupturing. We must first identify the most painful site to perform an accurate diagnosis. 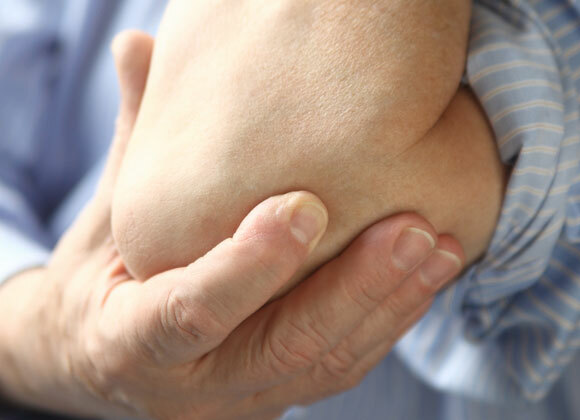 Pain in the lateral side of the elbow is often caused by lateral epicondylitis (tennis elbow). Pain in the medial side of the elbow is called medial epicondylitis (golfer elbow), while pain in the posterior side is caused by either tendinitis or triceps rupture and in the anterior side, the pain can stem from either a bicipital bursitis or a biceps rupture. The elbow must be rested in a sling. Heat or ice help control the pain. Analgesic or anti-inflammatory drugs can help calm the pain but digestive problems can be a long term complication. Physiotherapy and steroid infiltrations are classic approaches to therapy. Open or arhroscopic releases for lateral or medial epicondylitis are a last line of treatment. Biceps or triceps repair is required with high grade rupture. Adequate imaging must used to determine the source of mechanical blockage of the elbow. Free bone fragments or loose bodies can cause an intermittent pseudo blockage. In the case of elbow wear like elbow osteoarthritis, mobility of the elbow is reduced to limit inflammation. Once the reason for the blockage is identified, we can clean the joint using elbow arthroscopy (synvectomy) and remove the causes of blockage like bone fragments or bone spurs (loose bodies or osteophytes). We can even go as far as articular resurfacing (elbow debridement) or joint replacement (total elbow arthroplasty) if need be, to maintain functional mobility of the elbow. Major elbow trauma can cause pain due to insufficiency or by ruptures of the collateral ligaments of the elbow. Severe trauma can lead to dislocation of the elbow. Once the lesions are identified, it is sometimes required to proceed with surgical ligament repair or reconstruction including addition of tissu (grafts). 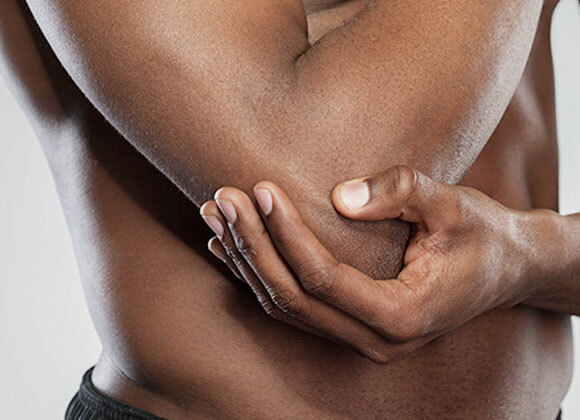 There is a small bag of tissue on the tip of the elbow which facilitates skin movement over the joint, called a bursa. Inflammation of the bursa (olecranon bursitis) causes significant accumulation of liquid or blood which is susceptible to infection. It can often take several weeks for swelling to subside. Sometimes we must proceed with the removal of the bursa or bursectomy.